God-given and without error is a massive claim for any book. But what do we mean by this, and is it what the Bible claims and what Christians have always believed? Does it really matter? 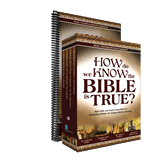 What did Jesus and the apostles believe and how did they use the Old Testament? 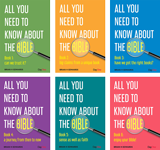 What do we mean when we say the Bible is sufficient and final? Almost everything that is manufactured comes with a set of instructions. We call these ‘the maker’s instructions’; the more complex the item, the more detailed is the information. We may choose to ignore the maker’s instructions, but if we do, then we cannot blame the manufacturer when things go wrong. If they are not obeyed, then the product may be damaged and will not function properly. It is reasonable to expect that if there is a God who made everything, he must know best how it should all work. It is also reasonable to assume that he will have given instructions, and that those instructions will be reliable. For the most complex part of his creation – which is us – we would expect the most detailed information. Contradictory instructions would be absurd, therefore we cannot claim that all religious books will be equally helpful in locating the truth about life, death and eternity, because they each have very different messages. The human race should know how to live and how to get the best from life. Birds and animals know how to migrate and look after their young, and nobody gives them a set of written instructions. Humanity, with its superior intelligence and power of reason and conscience, should be able to chart a reliable course for peace, harmony and good-will for the benefit of all who live on this small but well-provided-for planet. However, this optimistic hope is clearly ill-founded, because humanity has not made a good job of managing planet earth over the past millennia. In a fallen world, we can still see the imprint of God’s order, design, and beauty, but the order and design are broken, beauty is tarnished, harmony is shattered, joy is compromised, and God’s bountiful provision is manipulated by the human race to its own destruction. Genesis 1–3 relates how God created the first man and woman and they entered into a relationship of friendship with their Creator that was not shared with any part of the animal kingdom. Unfortunately, the first significant instruction was disobeyed and from there everything was spoiled and that special relationship was broken. The Christian Bible reveals God’s master-plan of how the human race should live, can live, and one day will live when God recreates everything new. All this, and much more, is the subject of Book 1. 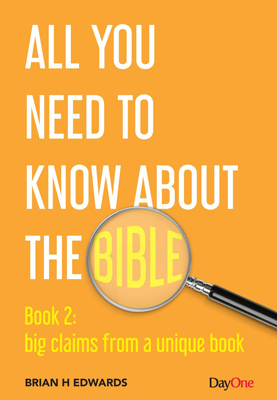 In the second book in this series, we examine how God reveals himself, and with particular reference to the ultimate truth that he has given in the revelation of Scripture. We focus on what is really meant by the words ‘inspiration’ and ‘inerrancy’ and why it is so important, and correct, to defend these claims from the text of the Bible itself: ‘All Scripture is God breathed and is useful for teaching, rebuking, correcting and training in righteousness, so that the man of God may be thoroughly equipped for every good work’ (2 Timothy 3:16-17). A careful definition of how the Scriptures came to us distinguishes a true belief in biblical authority from more vague or rigid ideas. A survey of the history of Biblical inerrancy shows that this vital truth has always been the position of the greatest theologians of the past centuries. The third and fourth chapters, discuss how Jesus used the Hebrew Scriptures (our Old Testament), and similarly how the apostles used those Scriptures, and why they were often using a Greek translation rather than the Hebrew Old Testament. We may be surprised at how frequently the apostles used the Old Testament in their writing; for them, the New certainly did not dispense with the Old. The Old Testament prophets, Jesus himself, and the apostles in their letters, each made uncompromising claims for the absolute authority of both the Old Testament Scriptures and their own words. Were they right? And do they each agree with one another? We must also answer the question: Is the Bible enough? Can anything be added to it, and is it sufficient and final? What do we mean when we speak of the sufficiency of Scripture? Does it tell us everything we need to know about everything, or only everything we need to know about some things? These are all questions that need to be carefully unravelled so that we don’t fall into the danger of making claims that are either too general or too restrictive. In the 1970s, when the debate about Biblical inerrancy was probably at its most intense, the International Council for Biblical Inerrancy was formed. After ten years of meticulous scholarship, vigorous debate, and many publications, their excellent legacy is still with us. This second book in the series closes with their careful and valuable statement set out in nineteen points on what evangelicals really mean by Biblical inerrancy. When Jesus affirmed, ‘the Scriptures cannot be broken’ (John 10:35), he clearly meant much more than we often realize.